Want to know the biggest secret in travel? 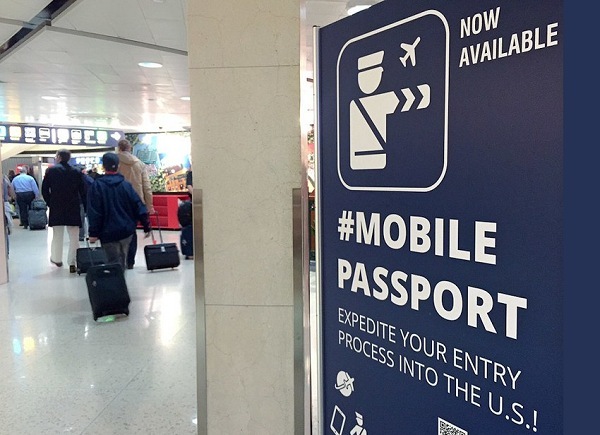 It’s the Mobile Passport app, which was first released in 2014 but has yet to catch on the same way Global Entry has. The app, which is completely free, has been downloaded about 3.5 million times since launch, according to its developers. While that number may sound big, it’s less than the number of people using Global Entry, which has at least 4.7 million members and “thousands of additional travelers applying for membership each day,” according to a November statement from Customs and Border Protection. That may explain why there’s hardly anyone standing in the “Mobile Passport” line to re-enter the U.S. On a recent trip, the author breezed through customs and immigration at JFK, moving much faster than the people stuck fiddling with Global Entry kiosks. If you haven’t tried it yet, here’s how it works: Download the Mobile Passport app (via the Apple App Store and Google Play Store ) and save some of your basic information, like passport number, expiration date, and a photo; you can do the same for family members traveling with you. When you arrive back in the U.S. from overseas, switch off airplane mode, open the app, and answer a few basic customs questions, like: “Are you bringing back fruits and vegetables?” and “Are you carrying more than $10,000?”—the same sort of stuff you normally answer on that blue paper customs form. Hit submit while you’re taxiing, and the app will provide a QR code “receipt” that you can use at customs and immigration in lieu of the traditional paper form. Inside the arrivals hall, you’ll often find a designated Mobile Passport lane, where there’s almost never anyone waiting. An agent will check your passport, scan your receipt, and send you onward to customs, where you can once again take the special Mobile Passport lane to skip any lines. The app works at 24 U.S. airports (click here to view the list)—and Fort Lauderdale’s cruise port—so far, including many major ports of entry including Hartsfield-Jackson Atlanta International, Chicago O’Hare, and Los Angeles International, but it isn’t everywhere just yet. Needless to say, you have to actually have a passport first to be able to use the app. It’s not a substitute for a passport. It’s just a digital way to submit your Customs information. And though using Mobile Passport feels for the moment like a genius hack, things can always change. Just look at PreCheck: What launched as a program to speed up security lines now has more than five million members who often find themselves just as stuck at a checkpoint as everyone else. For now, though, Mobile Passport is still the quickest way to get through customs and immigration.